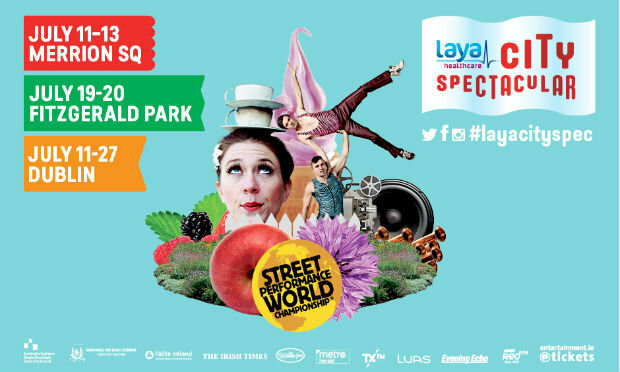 For those planning a vacation in Ireland and, in particular, to the south coast over the coming weeks may be interested to know that Cork City plays host to a festival of colour and celebration between the 19th and 20th July for the 2014 Laya Healthcare City Spectacular. The festival will see the city’s Fitzgerald Park and surrounding areas transformed into a spectacular civic celebration. The street performance festival has become an annual event, taking place slap bang in the middle of the Irish summer. The Fitzgerald Park in Cork City has proved to an ideal venue catering for the biggest street performance competition in the world. This year will be a little different from previous events in Ireland. In addition to the activities and performances from some of the the world’s best street performers, the festival will be expanding throughout the city centre to include concerts, family picnics, artisan food events and outdoor screenings, inviting hundreds of thousands of people to enjoy the best of what Cork has to offer. This festival sees a strong collaboration between those at the heart of the city, including the City Council, local businesses, Irish arts organisations as well as internationally renowned performance artists coming together in a city celebration highlighting those that make Irish cities spectacular. This entry was posted in Activities in ireland, arts festivals Ireland, Best Attractions in Ireland, Cork, Festivals in ireland, Irish Festivals and tagged Cork city, cork festival, events in Ireland, Fitzgerald Park, Laya Healthcare City Spectacular, street performance. Bookmark the permalink.